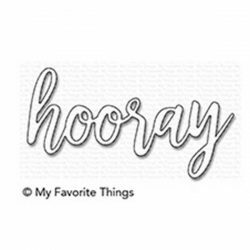 So Many Yays die-namics by My Favorite Things. 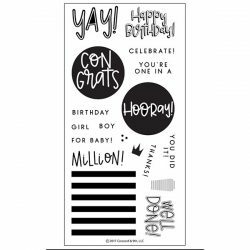 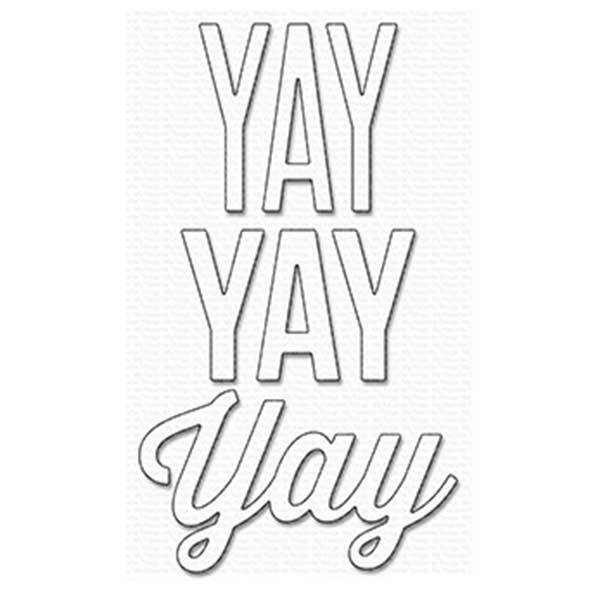 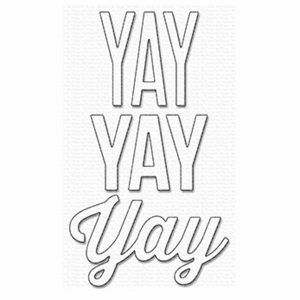 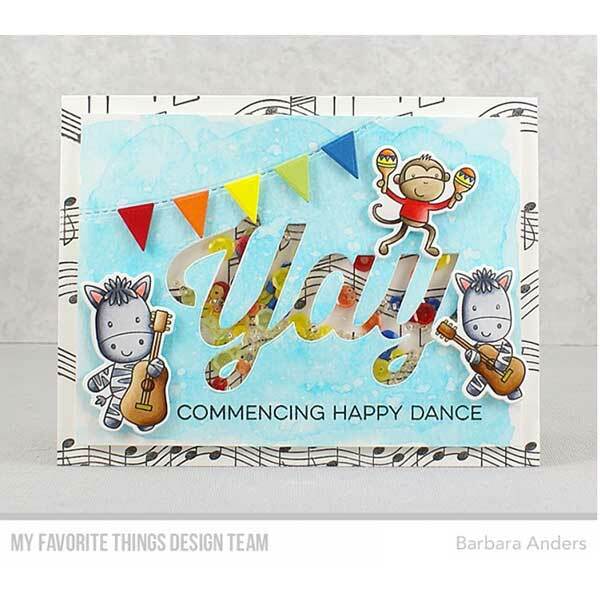 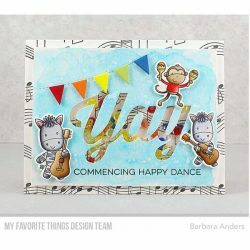 So Many Yays Die-namics includes three “yay” options that can be used as stand-alone greetings or in conjunction with the Yay for You stamp set for even more sentiment-building opportunities. 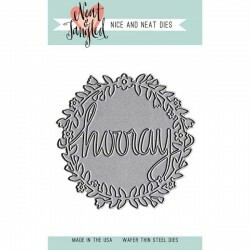 The 3 piece So Many Yays Die-namics includes words measuring 2 1/8″ x 2″, 2 1/2″ x 1 5/8″, 3 1/2″ x 2″.